If you love to read, you’ve undoubtedly spent much time online in the quest for ways to further enhance this timeless passion we call reading. Whether it’s searching for a rare printed volume, investigating a hidden metaphor, or putting together your wish-list of books and related merchandise, Google can be your best friend or your worst enemy. And so the GoneReading team was unanimous in its decision to start curating a list of amazing online resources for readers. And while I admit that I’ve spent more than my share of time on Amazon, our goal is to help you find websites and tools that most readers have never heard of, the websites less-traveled, if you will. We start with the seven listed below, but this is just the beginning. We need your own recommendations, and those of your reader friends, to make this list truly authentic and useful. So check out the sites listed below and leave a comment with your own recommendations. We’ll check them out, and make the best-of-the-best available to all. The Book Seer provides great suggestions on what to read next. 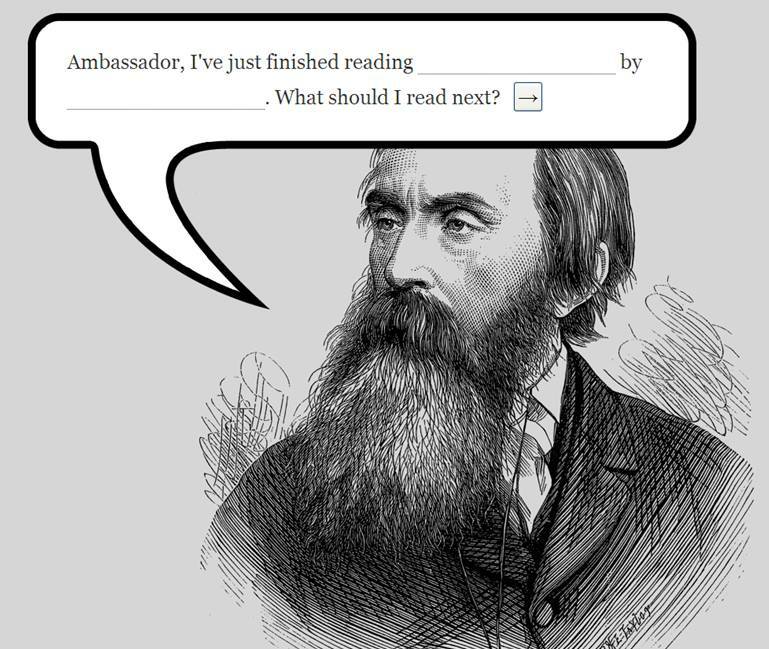 Bookseer is an automated search tool that simply asks you what you’ve just finished reading, and immediately spits out a selection of books to consider. Nice and simple. More unusual is AllReaders, which actually provides book recommendations based on the plot, setting or character of your choosing. You can select unbelievably detailed scenarios. Interested in crime thrillers that feature slightly humorous ninjas? Then this is the site for you. If you’re buying books online and want a great site that uses the profits to support libraries and literacy (just like GoneReading) then you can’t do any better then Better World Books. They’ll even buy your used books and pay for the shipping. Great company and business model. If you want to compare the price of a book between online sellers then check out AddAll. For used and out of print books click here. Want to swap books with other readers for free? Try BookIns. LibriVox offers an incredible selection of free audio books. I’ve become a huge fan of The Great Courses in recent years. While the courses aren’t exactly cheap, they offer a tremendous range of original material from the best professors in the world. I’ve thoroughly enjoyed their courses on topics as disparate as economics and classical mythology.